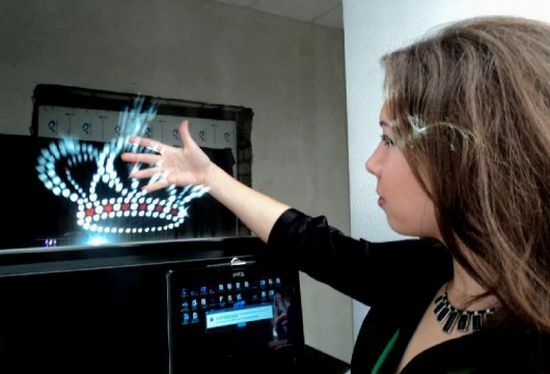 Weary of the touchscreen displays at Consumer Electronics Show 2013, have a look at the multitouch fogscreen from DisplAir that discharges water mist out of a stand to display moving images, which you can manipulate in midair. Capable of handling up to 1,500 finger taps at the same time with an infrared camera, the interactive display can be used by multiple users with 1 cm accuracy and a time delay of under 0.2 seconds. Other than gestures, users can select menu options and type on an on screen keyboard to influence virtual 3D objects and moving images. The multitouch fogscreen can form virtual screens between 40 and 142 inches. 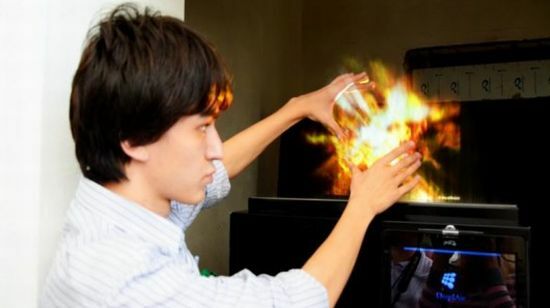 The DisplAir system is expected to range between $ 4,000 and $30,000 respectively and will reach the market by this year.